If you've got a reason why you're not wrong I'll be happy to hear it. Read the last ten or so posts. "Lazy manticore reskin! Even kharybdis was made better! We waited so long for that?! #NotMyJABBERSLYTHE ! Stupid headswap for manticore!" 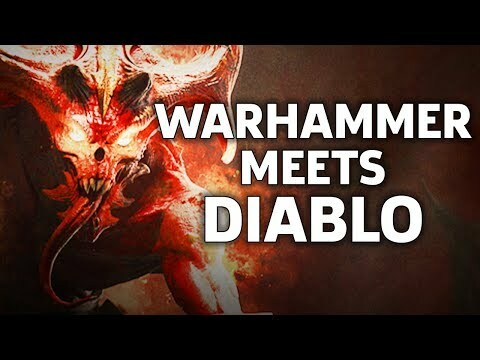 Also... am i the only one who look at chaosbane as just another Diablo\PoE clone that use warhammer license as main and only selling point? Happily those back my point. Woo woo! See, what you're doing is trying to claim your guesses are fact. Problem is to do that you need specific data which you don't have, so they're still just guesses. Guesses are all when and good but facts they are not. Pretty much. It's a bad model with bad animations in a bad game with only a fraction of the units of TWW yet for some reason it's being held up as something good. The problem is not the money required to make the Ghorgon, Jabberslythe, etc...but its how to add them to the roster. Likely, they could be included for Chaos in Warhammer 3, then back-ported to Beastmen. You pay almost 200 euros for the TTWH rosters. The charlemagnes excuse could make sense when launching a BM DLC was "risky" and therefore you had to limit the budget. Right now, it's a terrible excuse. Have they made a BM style DLC recently? Vampire Coast was all new models for the most part and TK had more than they had on the TT. Why would that be bad? if the game mechanics are solid at least, having a hack and slay in Wrahammer should be quite nice. Otherwise Vermintide also is just a Left 4 Dead Clone (with some adjustements) using the Warhammer license as main selling point. I am not in the games industry so don't know much about design, but is a Jabber in a top down Hack and Slash the same as one in a strategy like TWW? It seems to me like creating a model that has to work in a more complex 3D space and interact with larger groups or other large 3d models would be far harder to make than one that acts in a more limited isometric game type. Except that it's a bit misleading. If you ignore console gaming and stick with PC gaming which is where we are. Games no longer have to have a store release meaning they skip the entire expensive step of producing the hard copies, shipping those millions of boxes, and ultimately even seen smaller cuts from middlemen and final stores. That whole overhead has completely vanished. Also, video games almost never do tv spots now except in a few rare cases and it's dubious if that's even needed now. You can take all your same advert trailers and put them on your own website, Twitter, and Youtube at fractional cost versus tv and magazine advertisement. You don't have to build your own engine as much, they barely glance on that but a very large chunk of games just use someone elses engine now and despite having to pay for that it's still quite often cheaper than inhouse developement. Many other tools have also gotten to this point. While somethings through base inflation have gotten more expensive, in a lot of ways it's also gotten cheaper. So much that yeah, I dubiously have to wonder on it. And not every title has spewed the same volume of crap such as lootboxes. Where as things like same day DLC is less about recouping total cost of the game but rather every single dev has realized it's now just commonly accepted. If you tell a company they can do something that every single other company does and get a few extra million and expect them not to? Hah. Ya I have felt ripped off for paying for the BM dlcs for a while. They have what 4 units? Gors, ungors, minos, copy paste WoC wolves, centigors, cygors? Gors, Ungors, Minotaurs, Cygors, Centigors, harpies, Chaos Spawn, Chaos Giant, Razorgors, Chaos Warhounds. "Well, we've found the weapon, we have some witnesses, the motive seems believable... I guess he's guilty?" "Yeah, but, you know, it's not like we *saw* him murdering those people"
"Right. There's nothing we can do"
Honestly, forgive me but I don't feel like explaining basic concepts as inductive reasoning, evidence vs proof and probability. Suit yourself. The motive was created after the murder, the witnesses had been bought and the Weapon had been placed at the suspect. Non copy paste units. If you ditch them you lose hounds , spawns, giants, harpies. Since they are in the woc army. It would be like them adding brets to the game and giving you hippogryphs and knights then copy paying the rest from empire. OMG, by that logic the Dwarfs have exactly one unit and the Empire two or three. Agreed it is lazy by the dev's. And creators. Be more original thx. iirc (nearly) all of those armies are part of their Armybook. So complain to GWs first for putting htem in there. Analogies are universally bad, this one is no exception. In this case you have nothing except guesses. You have no concrete evidence (like your analogy falsely claims) you just have guesses. Suit yourself. 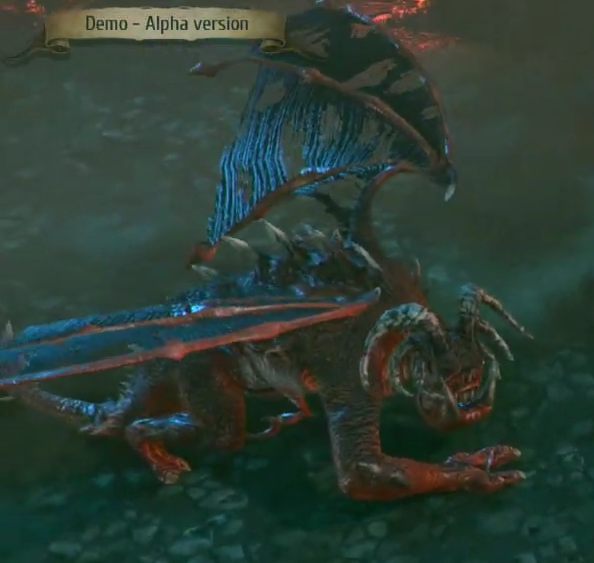 Can't say that a good representation like hellpit abomination in total war 2. If CA was doing it there were going to animate like in the lore description. Not the model was the problem but the animations. Hellpit abomination tooked 2 months from senior animators. You just want to find stones to throw. I don't think talking about units makes any sense in evaluating a DLC value-for-dollar. Radious Mod has a million units, and all of them are recycled and boring. It would be better to talk about unique models. I would argue that *nothing at all* looks way more boring and cheap. That is a very low bar to set for your expectations. Yet its somehow applauded in this game. All I want is 3 things; consistency, consistency, and consistency. The BM are terrible, CA could, and should have done better with them, but this game having a poorly put in Jabber doesn't mean anything. It is applauded in that game because that game isn't TW WH. It's a smaller studio doing a Hack and Slay game, where such models need less animations, with a less detailed graphic style.